Mike Hawthorne: Appearance at the Quai des Bulle! 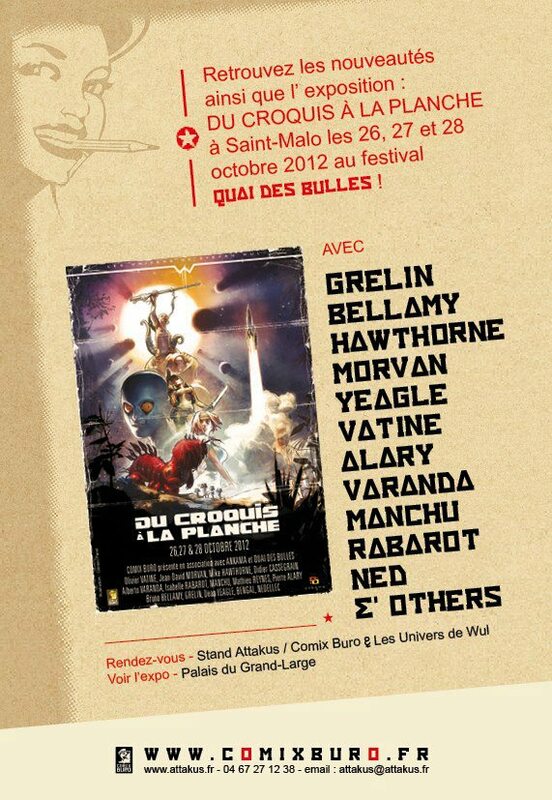 Just a note to any French fans out there, I will be appearing at this years Quai des Bulles comic festival in St. Malo, France. I believe I'll be floating between the Ankama and Comix Buro booths, with new books at both booths. 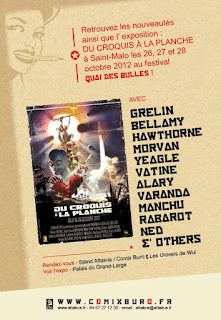 See the Festival's website for details. .
For all my American friends and fans, I'll be posting pics from the festival. In addition to the festival there will be an art show, the release of my new sketchbook, as well as a slew of interviews (7 at my last counting) going on during the show, so I'll have plenty to share once I'm back home. Have fun over there and be safe traveling. Soak up what love you can for this project. Well deserved. Can't wait to see and read it over here!